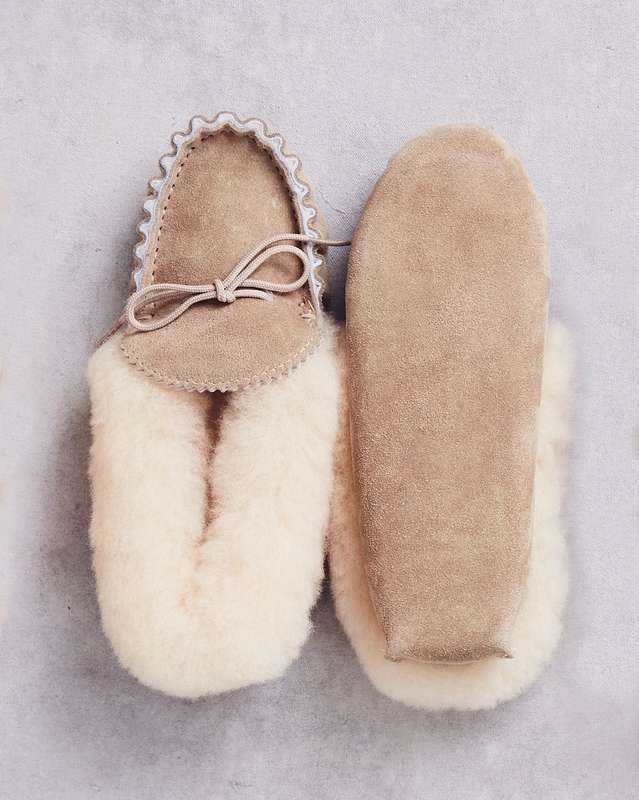 Wonderfully comfy slippers with a fluffy shearling cuff; choose between a rubber sole or soft suede sole. Lovingly handcrafted, these suede and shearling classics will give faithful service for many years. A treat to myself to replace a previous well-worn pair of a similar style. They are perfect, so I’m delighted. Ordering on the website for delivery in France seemed to present a problem, so I called and was able to order over the phone - excellent efficient and friendly service. Dispatch was,prompt and delivery quick (7 days). I would add that I normally take a shoe size of 8 or 8 1/2 and, based on previous experience in my life with this style of slipper, I ordered a size 9, which has proven to be a wise decision. Just what I expected as it is a replacement for a worn pair. The Perfect Slippers, very comfortable, warm, soft, cocooning and look great. This is my second pair of this style. Celtic Sheepskin are the best brand I'm glad to have found. This is a Christmas present I asked my husband to get for me. It is in fact the 5th pair of these slippers and they are most comfortable.